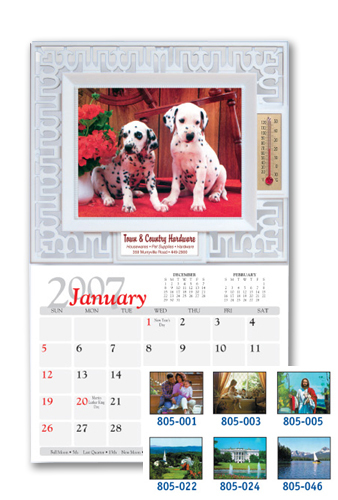 Large memo calendar pad, thermometer & 5" x 4" picture print. Shown with 1 color imprint on ad insert and stock print. *Supply your own photo for a custom look! Call for additional charges. Imprint Area: 2-1/8" x 5/8" (w x h).